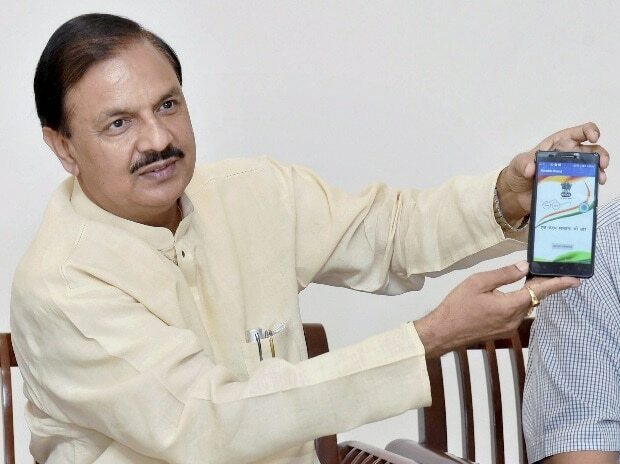 Union Culture Minister and BJP MP Mahesh Sharma referred to Congress president Rahul Gandhi as "Pappu" and his sister Priyanka Gandhi Vadra as "Pappu ki Pappi" during a poll campaign in Gautam Buddh Nagar, drawing flak from the opposition party which termed his remarks condemnable. A purported video of Sharma's controversial speech in his parliamentary constituency's Sikandrabad area is circulating on social media in which he can be seen slamming not only Gandhi family politicians, but also other regional leaders including BSP supremo Mayawati, TMC chief Mamata Banerjee and SP president Akhilesh Yadav. Rahul Gandhi has often been mocked by the BJP and his opposition as "Pappu", a colloquial sneer. "Pappu kehta hai main prime minister banunga Mayawati, Akhilesh Yadav, Pappu.. aur ab 'Pappu ki Pappi' bhi aa gayi hai. Wo Priyanka kya pehle hamare desh ki beti nahi thi kya, Congress ki beti nahi thi kya, aage nahi rahegi kya? kya naya leke aayi hai? (Pappu says he wants to become prime minister. Mayawati, Akhilesh Yadav, Pappu... and now 'Pappu's Pappi' has also arrived! Wasn't Priyanka already a daughter of this nation, a daughter of the Congress. And would she not remain so in future? What new has she brought in? )," he told a crowd of his supporters during his speech delivered on March 16. The video has since been circulating on different social media platforms. Regional politicians like West Bengal Chief Minister Mamata Banerjee or her Karnataka counterpart H D Kumaraswamy would make no difference to the local people even if they were "to come dance or sing" here, Sharma said. "If Mamata Banerjee dances Kathak (a classical dance form) here, Kumarasawamy, the CM of Karanataka, comes and sings a song here, who is going to listen to them? They have just 72 seats (in Lok Sabha). How will they get 200 more (for a simple majority)?" the minister said. Congress National Secretary and UP-West co-incharge Dheeraj Gurjar slammed the minister for his remarks. "As are his thoughts, so are his words. Being on such a responsible post, Sharma ji has made such a remark against a woman! It is condemnable," Gurjar told PTI. "The BJP on its own should take some action against him." When contacted, a representative of the Union minister declined to make any comment. In his speech, Sharma also claimed opposition leaders do not want a strong government at the Centre but a weak one. They want to support "Pappu, who has remained a Pappu", he said. He also attacked the Congress party for keeping the Nehru-Gandhi family at the helm. "First (Pandit Jawaharlal) Nehru, then (former PM) Rajiv Gandhi, then Sanjay Gandhi, thereafter Rahul (Gandhi) and now Priyanka (Gandhi Vadra)... And if there will be another, it will also be a Gandhi. Are they doing some favour to the country?" he asked. "If you want to rise above them, you can see only one tiger and that is (Prime Minister) Narendra Modi," he said. Gautam Buddh Nagar goes to polls on April 11 in the first of the seven-phased Lok Sabha elections. Sikandrabad, which geographically falls in the Bulandshahr district, is a part of the Gautam Buddh Nagar parliamentary seat.